Gives firmness to skin;Prevents cellulite and stretch marks. 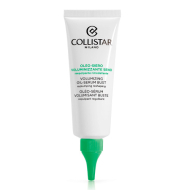 Pure Actives Bust from Collistar is a chest treatment product formulated with Collagen and Hyaluronic Acid, two precious active ingredients used in cosmetic medicine, available in their purest form and in optimum concentrations to ensure complete effectiveness. Collagen, the natural support system for the skin, helps make the bust tissue firmer and more compact, fighting the loss of skin tone and elasticity, and preventing sagging and stretch marks. 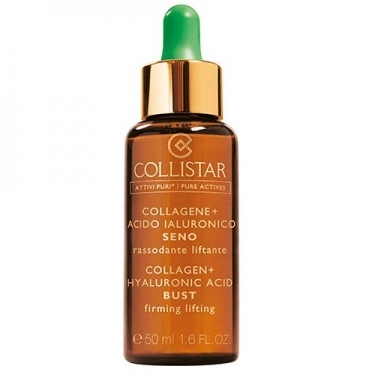 Hyaluronic acid, the ultimate super-moisturizer, helps keep your breasts firm and smooth with three different actions. Apply a few drops on the chest and massage.